Whether you are looking to redesign your website or create a new one from scratch it can feel like a big undertaking before you begin. Lots of people are taking the design and development process in-house but then find their websites don’t have all the functionality they need. We would say this, but we genuinely think it’s better to use a professional digital solutions company to get the most out of your online presence. However, go into it with your eyes open – do your research so you know what to expect and watch out for these common misconceptions, which in our experience, can catch people out. My website, we’ll do it my way – any agency employed by you should do what you want them to do. In fact, it will help them no end if you can give them guidance to help them understand what it is you’re looking for. BUT, make sure you use their experience and expertise – at the end of the day, that’s what you’re paying them for. Anyone can build a website, it’s easy – It’s not. Well, a very basic site without much functionality is relatively easy to create, but design and development that make a website look simple and effortless and work for your business, is not easy. Every feature should have a purpose and meet an objective and of course be fully functional on all devices and platforms. This takes hours of work and a skilled team to do well. Website finished, job done! – As with most aspects of business: people, lead gen, sales – websites are an ever-changing entity. They should be under constant review to see how they can be updated and improved. As soon as they fall behind in terms of content or functionality, it can almost become a negative for your business, rather than a positive. My site is done, here come the visitors – Unfortunately launching a new site doesn’t automatically make it go viral – your website should be the hub of your digital marketing efforts. Let people know it has been launched and continue to work on it and with it to get your return on investment. It’s all about me – Think again! Your website is all about the visitors – customers and potential customers. Most of the content (perhaps except for the ‘About’ page where you should be talking all about yourself) should be targeted at getting the attention of your visitors and encouraging them to engage with your business because what you have to offer will benefit them. That’s not to say it shouldn’t reflect your brand because of course, it should, but think about what your visitors would want to see, not just what you want to say. Users don’t scroll – Of course they do! Think about it, when you land on a website that looks like it might have the information you’re looking for, do you scroll down to find out more, or do you come away from the page because you refuse to scroll?! Yes, you need to grab attention up front to make people want to scroll, but a good website will do just that. 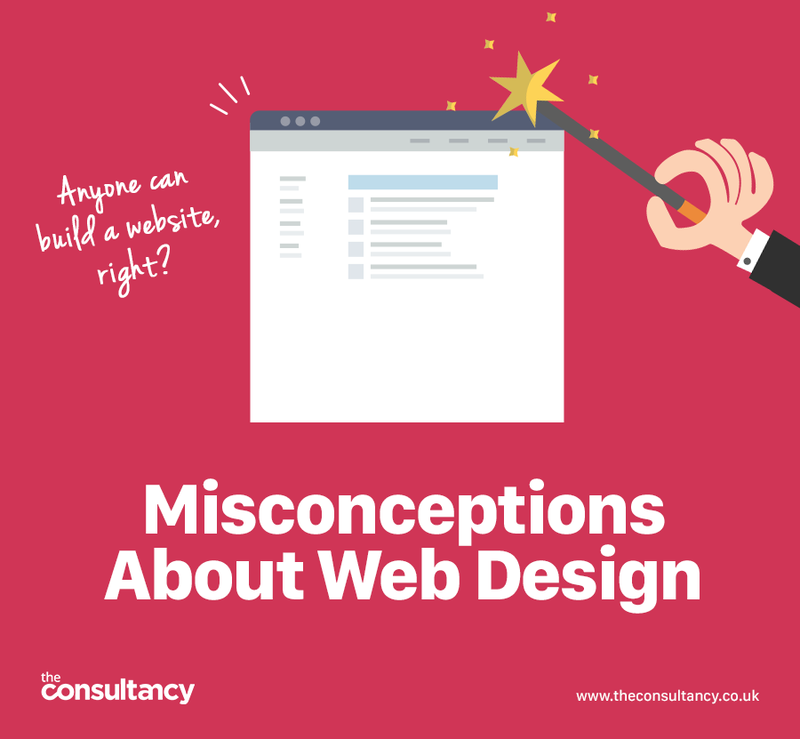 There are so many more misconceptions we could talk about and perhaps will in a future blog, but hopefully this gives you a good idea of the process involved in web development and what you should and shouldn’t expect from it.